This is somewhat difficult to write about. Delivering the message to the reader is somewhat complicated. New users of Microsoft Office may not get my point. But a regular user of Microsoft Office must understand what I'm talking about. And so many . . . This is called the default settings Microsoft Word. The settings you get just after opening a program is called the default settings of that program. The developers try to use the most common settings as the default settings. So that most of the users don't need to change the settings frequently. But the reality is quite fantastic! Every organization has its own method of working. Every person has his own choice. Naturally we need to modify the default settings of a program. To make Microsoft Office more convenient, there is a Set as Default button in some dialogue boxes. When you change default settings from a dialogue box, you can press the Set as Default button to make it default. Note: Default Settings varies from version to version. If you want this settings for all of your documents as default, then press the Set as Default button at the bottom left corner. Press Yes to confirm. From now, when you open a new document, you will get the paper size A4, and margin 1" as defualt settings. 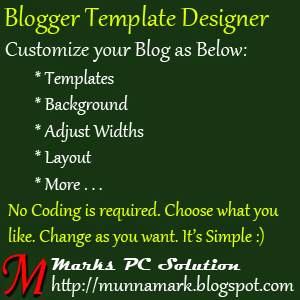 If your site is made by Blogger, then you should be familiar with Blogger Template Designer. This is really a lovely way to redesign your site with custom color, look, layout etc. But many new bloggers don't know about it. I've already helped some new guys in blogging. Believe it or not, they shared their password with me to redesign their sites! What can you do with Template Designer? Templates: Lets you change your template. Background: Allows you to change the background and color. Adjust Widths: Change your site's width and sidebar width. Layout: You can rearrange your body and footer layout from this option. Advanced: Font Style, Size, Color, Gadget Title, Links, Post Footer etc. can be modified from here. As mentioned earlier, there are 5 options you'll get in the left pane. Select one by one and change what you need. You can start from the Template, then Background. Though you can also change your template without entering the template designer. 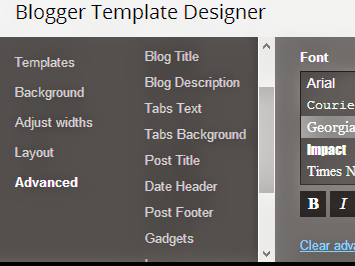 Adjust Widths: Here you can change the size of your entire blog and sidebar. Do not make it too wide so that it can fit on 1024×768 resolution screen. I prefer 1000 px to 1100 px at best. Right sidebar can be 300 to 320 px. Layout: If you need to change your layout, this is the right place. You can determine where your sitebar will be located. Where gadgets can be placed. How many gadgets can be placed at the footer etc. Just select the options one by one and observe the change. Then decide whether you will keep the settings or not. Advanced: The most critical and important part of the template designer. It's just like finalizing a word document. Blog title, description, text color, link color, gadgets, post footer, tab's design - everything can be customize from here. Before you start editing, you must load the template desinger page properly. And make sure that your site's preview appears on the screen. Otherwise you will not be able to see the changes. When you change something, it will be displayed in the preview. But settings will be finalized when you hit the Apply to Blog button. Get More Tips on Blogging . . .
16th December! The Victory Day of Bangladesh. 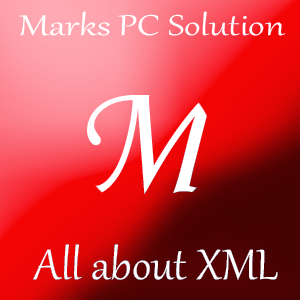 Regular visitors of Marks PC Solution know that, we hardly celebrate any National or International day. But today I've a topic to write about! Though it is more relevant to the International Mother Language Day, I can't wait until 21st February. Today I am gonna talk about UniJoy Layout: Bengali Keyboard Input System. Most of the people are now using Avro Keyboard to type Bangla in Unicode. Bijoy has also introduced Unicode Bangla typing system for few years. But it has failed to meet the users' demand. 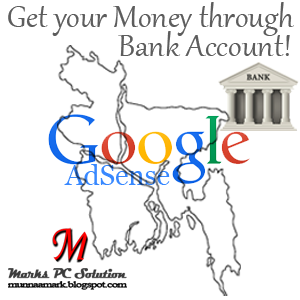 The first reason is that Bijoy demands money from the users. The second reason is it's inability to run smoothly. Bijoy can't run well in Windows 7 or 8. Where Bijoy 2003 was excellent for Windows XP, Bijoy 2010 and 11 are below standard for Windows 7 and 8. It's very common that users face problem to type some letters. And changing keyboard is also a big problem. In Avro, we just need to press F12. But Bijoy needs Ctrl+Alt+B (ASCII) or Ctrl+Alt+V (Unicode). Avro has some problems too. Since Mustafa Jabber filed a case against Omicronlab, they can no longer use the Bijoy Keyboard Layout. But 90% Bangladeshis are used to type with this layout. If you wanna get rid of these giant methods of Bengali Typing, then you can use UniJoy to type Bangla. Remember, with this simple keyboard input system, you can type in Unicode only. And it has no interface. You can just change the keyboard with this tool. It will just change your keyboard in Bengali. And it has no options to customize. No special requirement. Works with any version of Windows Operating System. Download the zipped folder from the link above. Then unzip it. A new window will appear and you've to close it. Done! Press Shift + Alt to type Bangla! It is almost similar to Bijoy Layout except few changes. And I think that will not be so difficult for you to type. If you face any problem to type, then download the conjunction list. You should be fine. To switch keyboard mode, press Shift + Alt (Left Shift & Left Alt). Press once for Bengali and press again for English. If you want to know your current mode, look at the bottom right corner of your monitor. It's just left to the clock. You will see ENG, if your Keyboard is in English. And if you press Shift+Alt, you will see Bangla. I've used this tool in my PC. It doesn't create any problem regarding installation or operation. But it has some problems with few letters. I'm not sure about earlier versions of Windows. But in Windows 8, I can't type few words properly. Without this problem, this is really a nice tool to Unicode Bangla Typing. To know more about, visit Ekushey Unijoy Layout. 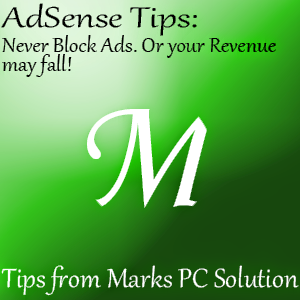 Visitors of Marks PC Solution were demanding Windows 8.1 activator for few weeks. As it's just been released recently, I couldn't manage it. Finally I've got it from +Kunal Patel. Thanks Kunal for sharing this with me. Kunal informed me that he has successfully activated his Windows with this one. And I've also tested this with my preview version. * Since I don't have all versions of Office and Windows, I can't test this activator. But I think this will work for you. Download the zipped file - It's only 320 KB Only! Run the KMS 8.1 as Administrator. Look at the KMS Screenshot below. Press either 1, 2 or 3 as your need and hit Enter. When you press the key, suppose 1, operation will start. Let this work. While running this for the first time, you might be supposed to allow something. After successfully installing the KMS on your system, you will get the confirmation message. Hope you will be able to activate your Office and Windows. When I tried this activator, my net connection was active. But you can keep your net disconnected while running this operation. If you face any problem, never hesitate to contact me. And don't forget to let me know by comments. Also share this with your friends if it works for you. This activator may not work properly if you upgraded from Windows 7 or 8. In that case, you have to re-install your Windows from installation DVD. 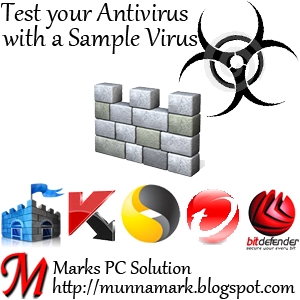 Any third party anti virus may block this activtor. 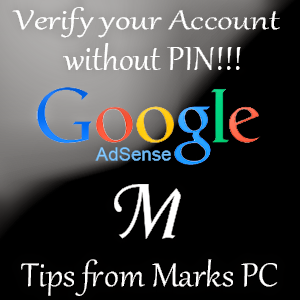 Please remove third party anti virus (if installed) before trying this activator. This activator may fail to activate your system if you receive updates from Windows Automatic Update! If eveything is okay and still this doesn't work, then use the latest KMS for activating Office and Windows. Please mention your Windows Version while commenting. Waiting for your feedback . . .
How to Create Transparent Image by Photoshop? I'm really sorry for the long break in writing. I published the last post few weeks ago. Because there were weeks but no weekends. Due to the serious political crisis in Bangladesh, Banking Sector and business activities were down. And Govt. was trying to recover the loss through continuous banking. And I had to attend the office every day. In this week, bankers got weekend finally. And I'm gonna publish a new post. This is an exclusive post for this site. I've never published any tips on Adobe Photoshop. This is the first time I'm writing about Photoshop. Today I will discuss about creating transparent image. You know transparent image has no background color. It looks very smart when transparency is used with any design or logo. A logo with a white background is not as fine as transparent logo. If you use transparency, only the image or logo will be displayed. There will be no background of that image. If you place the logo in a black color, background will be black. If you place it on red color, background will be red. Thus whenever you place any transparent logo on a color, the background will take that color. I've used Photoshop CS5 to create this tutorial. All images of this post are from CS5. CS4, CS5 & CS6 looks almost similar. But in previous versions, options could be slightly different. 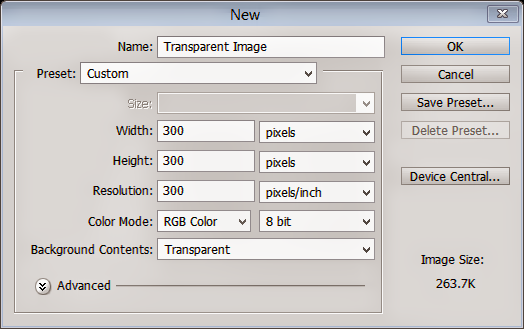 Run Photoshop from your PC > Hit Ctrl + N > Choose Height, Width & Resolution as your requirement > Select Transparent from Background Contents > Enter. Now you will get transparent layer as the image below. It looks like grid. Whatever you draw or write here, it will be transparent. But you must save the file with .PNG extension. Otherwise transparency will be disappeared. To save your file, Press Ctrl + S (Save)/ Shift + Ctrl + S (Save as) > Type your File Name > Select PNG as File format > Save. If you write or draw anything in this transparent layer and save it as PNG file, it will have no background color. But if you place any image or logo which have a background color, it will appear in the saved file. In that case your picture will not be transparent. But you can erase the unnecessary color from your image using the eraser. 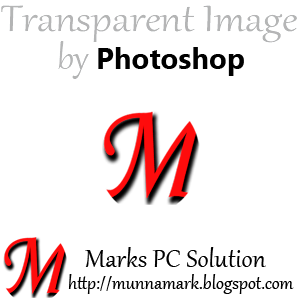 When you erase any part of your image, make sure the transparent layer is visible. Otherwise your picture will not be transparent. And when erasing anything, make sure you have selected the proper layer from the layer panel. If you select wrong layer, then you will not be able to erase the necessary part of your image. Remember, whenever you write or draw something in Photoshop, it will create a new layer. Whenever you place something in your Photoshop document, it will create a new layer. So, while editing anything, make sure you've selected the exact layer where you wanna edit. 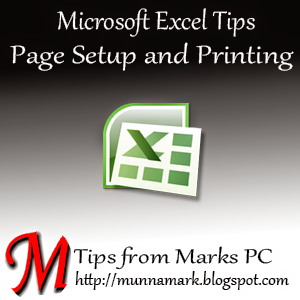 In this post, I'm gonna discuss about Page Setup, Margin and Print option of Microsoft Excel. Since I'm using version 2010, it will difficult for me to show the related screenshots of 2003 and 2007. But I will try to make it clear for the users of previous versions. Page Setup: You should set up your page properly to print a workbook. Otherwise you may get the wrong output. Some lines of your workbook might be missing. Find the Page Setup option from the File menu. Now go to the Page tab. Set your Orientation - Portrait or Landscape. Choose Paper Size - A4/ Letter/ Legal as your need. Now move to the Margin tab. Set your margin for Top, Bottom, Left & Right. Then hit OK.
Look at your workbook. Now you will be able to see the boundary of your workbook. Each page will have a boundary. If any part of your workbook is out of this boundary, it will be printed in the next page. So, if you need to adjust your text, you must follow this boundary. If a minor portion of your workbook is out of this boundary, you can reduce your margin to increase the printing area. Print Range: If you choose All, everything in the current workbook will be printed. Nobody usually do so. We will use the Print What option. If you need to print a particular part of your workbook, just select it. Then press Ctrl + P and Choose Selection. Hit on the OK button. If you can manage to set your contents in a single page (within a boundary) then you can go to the Print Range option. Then select Page(s) box. Type 1 to 1 in the From and To box. Hit OK. That's it. Except some new features, Office 2007 and 2010 have got almost similar interface. Page setup and printing option is almost same in both versions. I guess you all are able to set up page and margin in Excel. In ribbon interface, you will get the Page Setup option under Page Layout Tab. Click at the right bottom corner to get the Page Setup Dialogue box. Now set up page and margin as you need. Though the interface is quite different from that of Excel 2003, the options are almost similar. You can choose Active Sheet or Selection or Page Range. Nothing is confusing. You can get this dialogue options by pressing Ctrl + P. And these options are same in both 2007 and 2010. If you wanna print a particular part of your workbook, just select that part and then press Ctrl + P > Choose Selection > Print. At the beginning, I said you're missing magic! What's this? I'm sharing a little example with you. In 2010, you have the Page Layout View like Word! When you run Excel, the default mode is Normal. To activate the page layout option, you have to go to the right bottom corner. There you will get the zoom option. And just left to the zoom option, you will get Normal, Page Layout and Page Break Preview button. The middle button is Page Layout.